Stop loss and take profit: set them now! If you are trading without stop loss or take profit targets, you are heading nowhere. Why? Because these are tools that help you manage your risks more effectively and you are not using them… meaning… yes, your capital is facing more risks than it actually should. But no worries… There is a solution. You are still on time to get to know these wonderful tools that apply both for total beginners to top-tier professionals. Let's get started! A stop loss target is placed like a regular order on your trading platform, although it is not executed immediately. This order tells your broker (Fort Financial Services of course...) that you want to limit eventual losses of a certain asset at a certain level. In other words, you are asking your broker to close a position once it reaches a certain level, which implies a certain degree of losses for your portfolio. By setting a stop loss order, you can be sure that no matter the circumstances, your broker save you some money if things go south. A similar logic applies to take profit orders but in this case, the result leaves a smile on your face. By placing a take profit order, you are instructing your broker to close a position once it reaches a certain level of profits. Nice, right? It is, especially if you tend to leave open positions overnight. 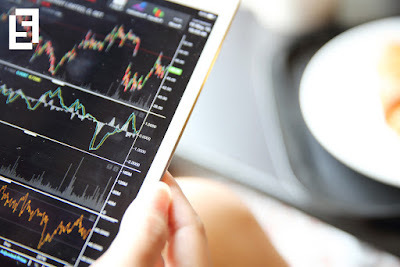 Stay true to your strategy: using these tools will allow you to take a more systematic approach in trading, which let’s you focus on improving your strategy rather than just sitting before the screen trying to protect yourself from financial misfortune. Avoid emotions: we have all been there. You are sitting there, drinking your coffee, staring at the chart and thinking “markets are moving against me, I should close now”. By sticking to your SL/TP orders, you avoid that emotional reaction, which in most cases leaves you empty handed or not fully handed (best scenario). Prevent falling to margin call levels. Setting SL orders allows you to control and moderate exposure to risk, making it just right for your strategy, capital and trading style. Don’t set your SL/TP orders to close to the initial price. Market swings will kill you. Don’t use SL orders on big orders, they can hurt you significantly. Follow up.